Avoid “wobbles” when strip-piecing using a can of starch, your sewing machine, and this tip from Linda J. Hahn at Frog Hollow Designs. Author of the award-winning New York Beauty Simplified and New York Beauty Diversified, Linda has two more quilting books due to be released in Fall 2015. 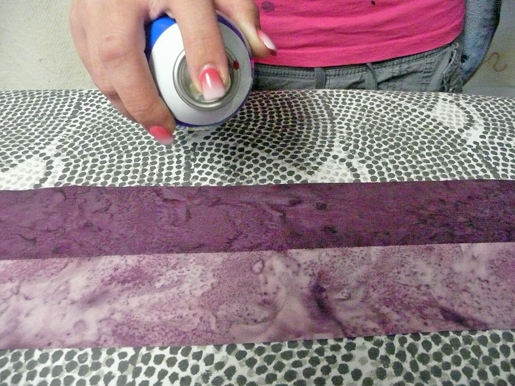 Prior to cutting, spritz the right side of the fabrics with starch; press. Place the strips under the presser foot, right sides together, with the fabric you are pressing toward on top. 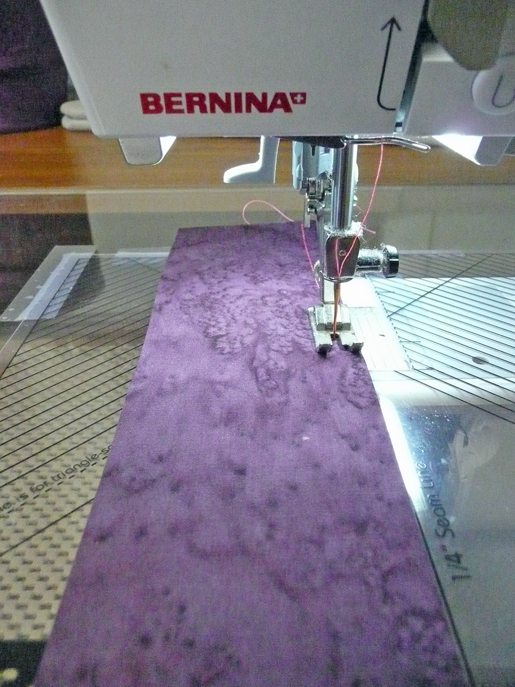 Use your 1/4″ foot (BERNINA Patchwork Foot #37) and allow the machine to do the work of feeding the strips under the needle. There is no need to stretch the strips or force feed them through. Tip: If you are able to cut your strips in half (so that they are approximately 20″-21″ in length, this will also lessen the chance that they wobble. 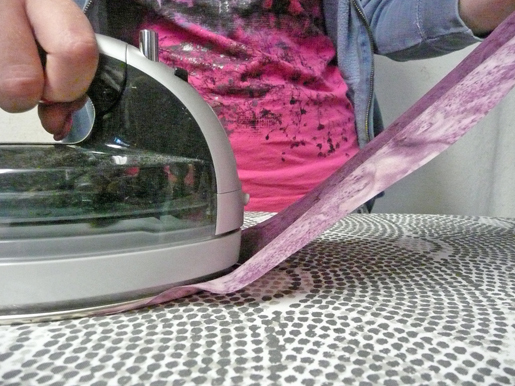 Remove the stitched strip from the machine and place it back on the ironing board. Lightly spritz again with starch and press closed. Open the strip and place the tip of the iron just to the right of the fabric you are pressing toward. 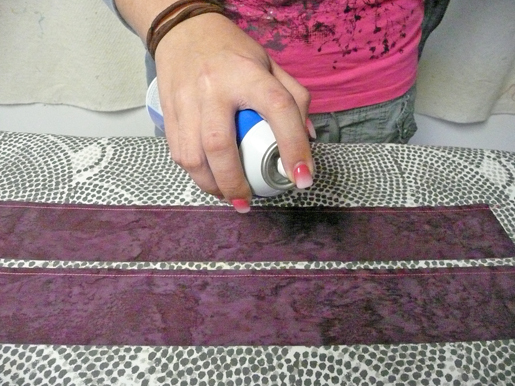 Lift the strip at an angle (you will need to experiment to find the angle that works best for you) and glide the tip of the iron along the seam. Spritz the pressed piece again with starch and press one more time. Finished! Visit Linda at her Frog Hollow Designs website, www.froghollowdesigns.com.